Pine Plains, NY – Eleanor J. Goldsmith, 88, passed away at home on Sunday, June, 17, 2018. She was born on June 21, 1929 in Albany, NY the daughter of Michael and Irene (Webb) Stehr. Mrs. Goldsmith attended East Greenbush High School. She was a long-time member of the First United Presbyterian Church in Pine Plains. Eleanor enjoyed playing cards, ceramics, traveling and knitting. 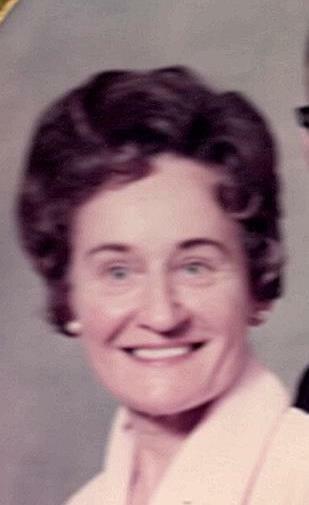 Her enjoyment of all was her grandchildren and great grandchildren. On December 25, 1949 at the First United Presbyterian Church, Pine Plains, NY, she married Clifford Goldsmith. He survives her at home. Survivors include her husband, Clifford Goldsmith of Pine Plains, NY; a son, Clifford Goldsmith Jr. and his wife Susan Mann of Lima, OH; a sister, Mary Webster and her husband Robert of FL; two granddaughters, Tiffini Sellers and her husband Billy Sellers and Chandi Goldsmith and her husband Michael Holt both of Salisbury, NC; and four great grandchildren, Bryanna, Leala, Madison and Taylor. She was predeceased by two brothers, Robert and Edward Stehr and a sister, Ruth Pilch. In lieu of flowers memorial contributions are requested to the Pine Plains Community Food Locker 3023 Church Street Pine Plains, NY.